With a simple appointment. Please let us know your interest. 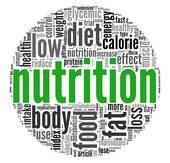 Registered Dietician Anita Huey is partnering with St. Peter’s to provide free classes on nutrition issues. Anyone from the Portland area community is welcome! Classes will cover topics such as diabetes, pre-diabetes, weight management, healthy heart, and GI issues. She is also an excellent cook and may use our fabulous and sizable St. Peter’s kitchen to teach classes on one pot meals, cooking for one person, and other topics. A healthy diet is a huge part of living the healthy life to which we are all called…join us! Anita Huey, MS, RD, LD, CDE is the owner of Everyday Nutrition Associates, LLC based in Brunswick, Maine.